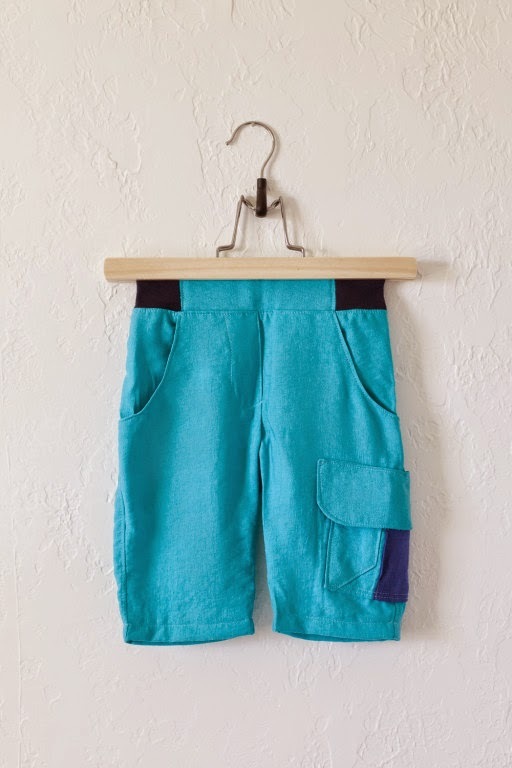 Have you seen the new Kudzu Cargo Pants & Shorts pattern at Willow & Co?? Well...in my opinion it's the best PDF pattern for pants ever! Although I may be just a teeny bit biased. I've been working hard on writing the Kudzu Cargo pattern since last November. My son is actually wearing one of the first versions of the pants in these pictures. Since then, I've made about 20 pairs as the pattern has been refined. It's been fun making them with all kinds of different options. Skinny legs, straight legs, shorts, diagonal seams, knee pleats, contrasting fabrics, etc, etc. The pattern has SO many options! You can get all the details about the Kudzu Cargos on the Willow & Co blog as well as see lots of great versions sewn by pattern testers. 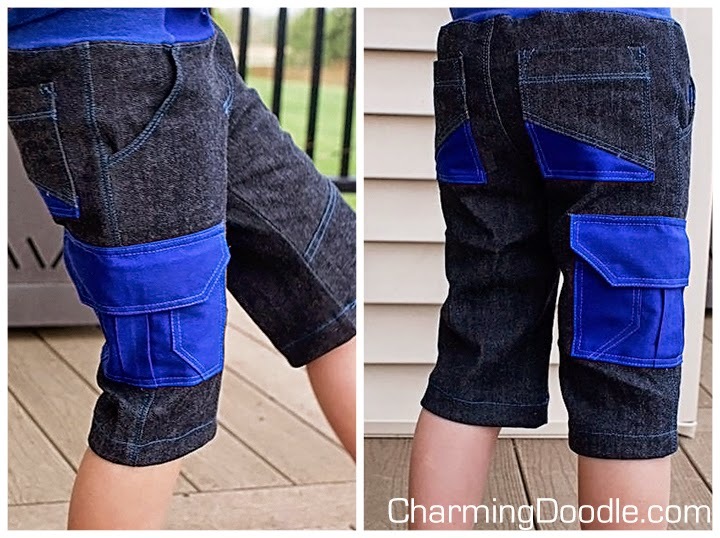 Like these shorts made yesterday by Shelly from Sew Shelly Sew. Aren't they fun? Be sure to get your copy of the pattern!! I'd love to see YOUR Kudzus soon! Yay! So excited for this release, Eliza. This is a great pattern and I know how hard you worked to make it perfect. Congrats on the release! oh yes! I am getting this one today!! :) can't wait : this last version here in contrasting blue is to die for! Thanks Sophie! I would love to see what you make with the pattern!